The Mercedes-Benz GLC-Class isn’t that old, with the current model dating back to 2016 and the AMG models coming later still. Things move fast in the world of SUVs and crossovers, however, and today we get our first glimpse of the high-performance facelifted people mover from Affalterbach. 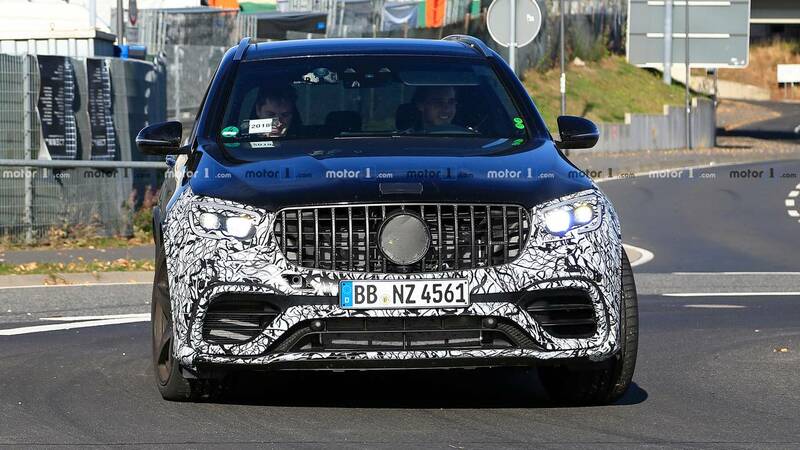 It’s a two-for-one special as well, because spy photographers managed to catch both the standard AMG GLC and the Coupe variant in action at the Nürburgring. 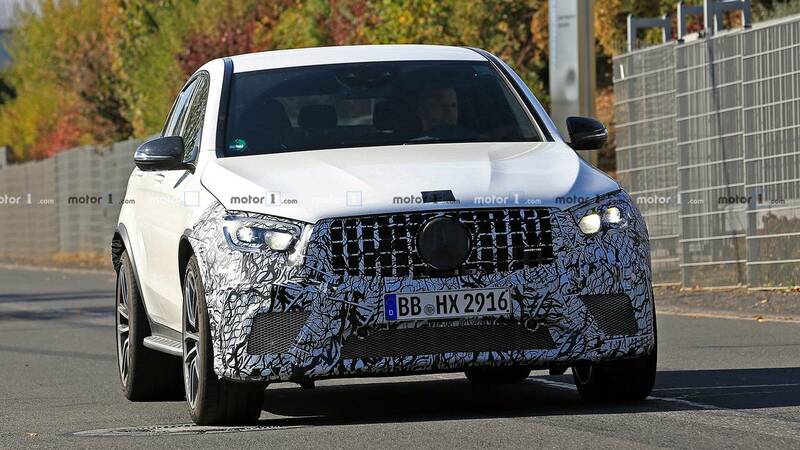 Both models are obviously wearing very little camo cover, with secret design changes relegated to both the front and rear sections of the mid-size GLC. 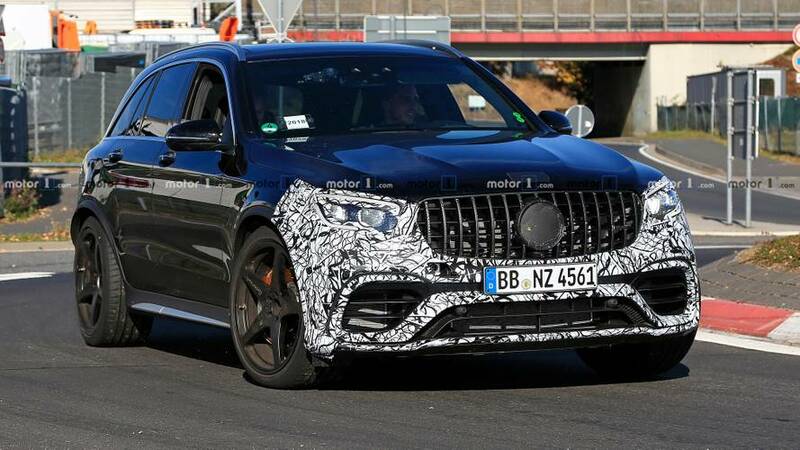 This mid-cycle refresh indeed appears to be very light, with a majority of the work falling to revised headlights similar to those on the AMG GT and CLS-Class. The Panamericana grille also looks like it could receive some minor adjustments, with the end result possibly being sharper lines up front. 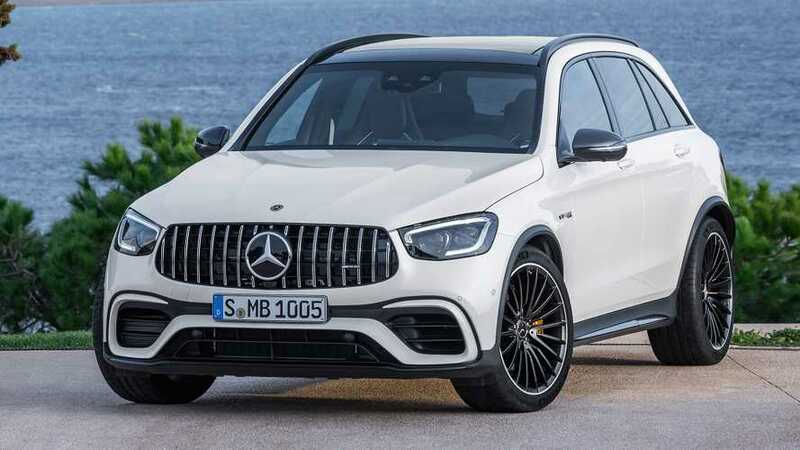 Those changes could necessitate some revisions to the lower front fascia as well, or Mercedes could simply be pulling our chain with a full front-end wrap on both models for no reason at all. 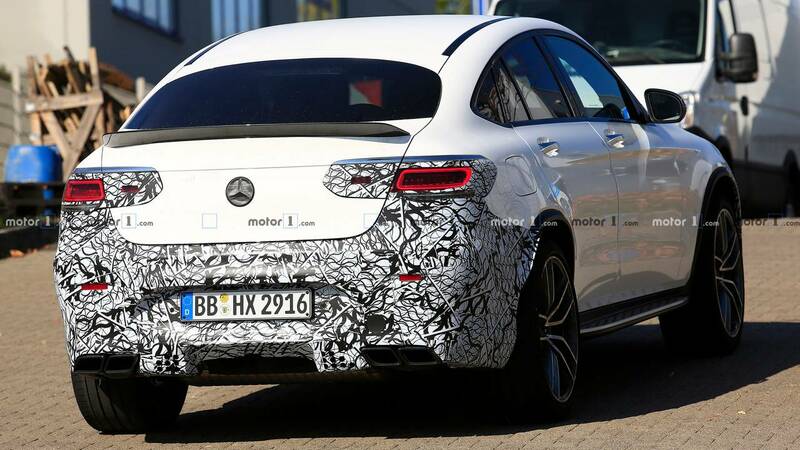 Things are a bit more interesting at the rear, where the crossover-esque Coupe obviously differs from the more traditional SUV shape of the standard GLC. 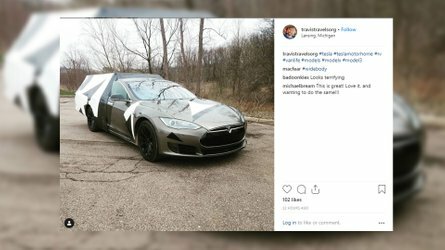 There’s a full wrap on the Coupe back there, and though body lines look very similar to the current model, there appears to be a redesign to the diffuser down low. 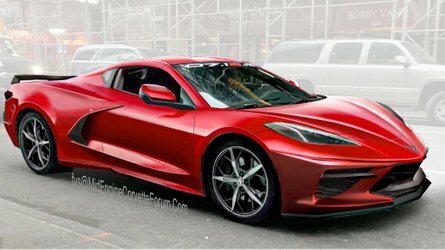 Similar diffuser changes appear on the SUV’s boxy backside, and both models will be getting new taillights as well, which could require some sculpting changes further up. 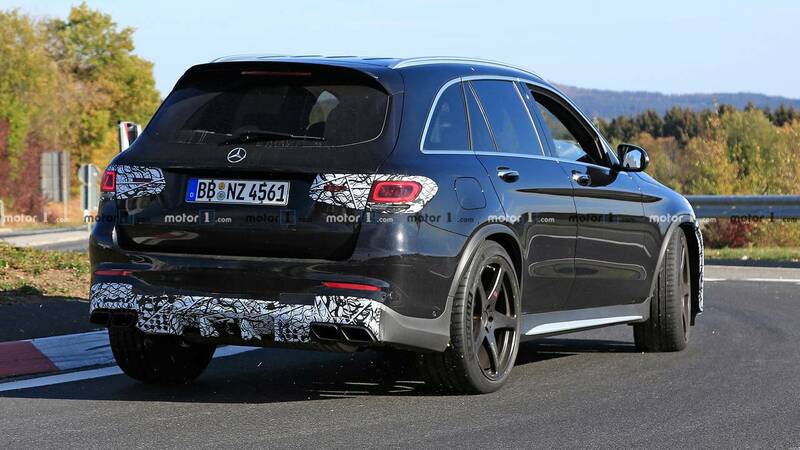 Given that this seems to be such a light refresh, it’s unlikely there will be any significant changes to the GLC 63’s powertrain. 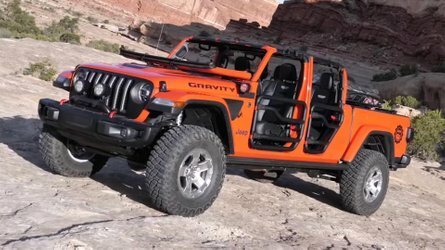 Not that either are lacking in power – the SUV makes 469 horsepower (350 kilowatts) from its 4.0-liter twin-turbo V8, while the Coupe delivers 503 hp (375 kW) to complement its smoother shape. 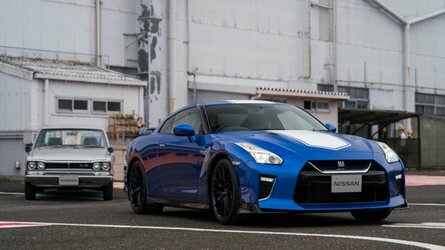 Expect to see these facelifted models officially appear early next year.